Paper tickets available from Aylesbury Music Shop (tel. 01296 392225) or St Mary's Church Cafe. A true jazz legend, Eddie Henderson was born in New York City. 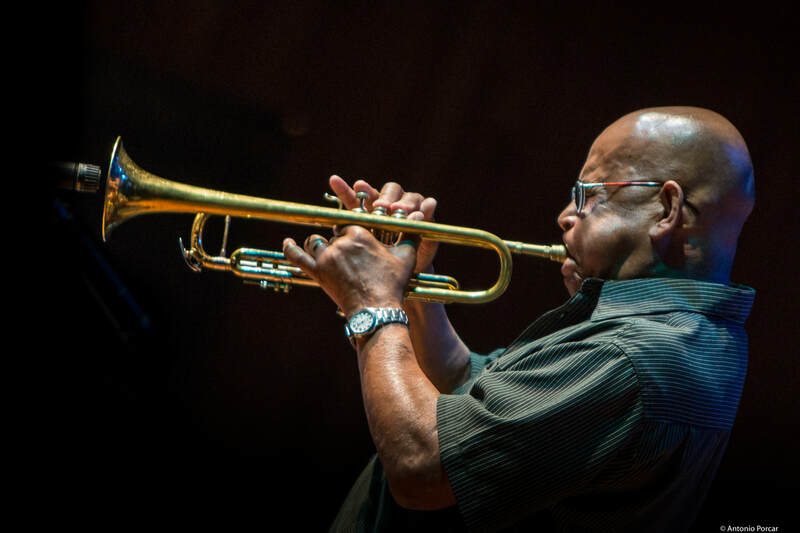 The son of a Cotton Club dancer, Eddie Henderson began playing the trumpet at the age of 10 and grew up surrounded by some of the world’s greatest jazz musicians, including Louis Armstrong and Miles Davis. It was Miles Davis who convinced Eddie to become a professional jazz musician and after gigs with Miles and John Handy, Eddie joined the legendary Herbie Hancock Sextet (who also recorded as the Mwandishi Band) in 1968. This highly experimental and successful band delved deeply into fusion and free jazz for three years. Eddie continued in the fusion style during the seventies, making albums for Capricorn and Blue Note and joining Art Blakey's band for a while. In the early nineties he moved back to New York where his career took off again with a series of exceptional albums for Steeple Chase and Milestone, while also working as a psychiatrist. A highly respected veteran on the international jazz circuit Eddie still tours regularly as a member of the All-Star band ‘The Cookers’. Backed by an all-star trio, who between them have performed and recorded with a panoply of jazz legends, this promises to be an evening of exceptional music. Welcome to Greensand Jazz. Bringing the best in live jazz to Bedfordshire. "There are few events where it is possible to have such a rapport with the performers"
Established in May 2013, Greensand Jazz promotes live jazz in and around Bucks and Beds, featuring some of the UK's leading musicians, many with international profiles.